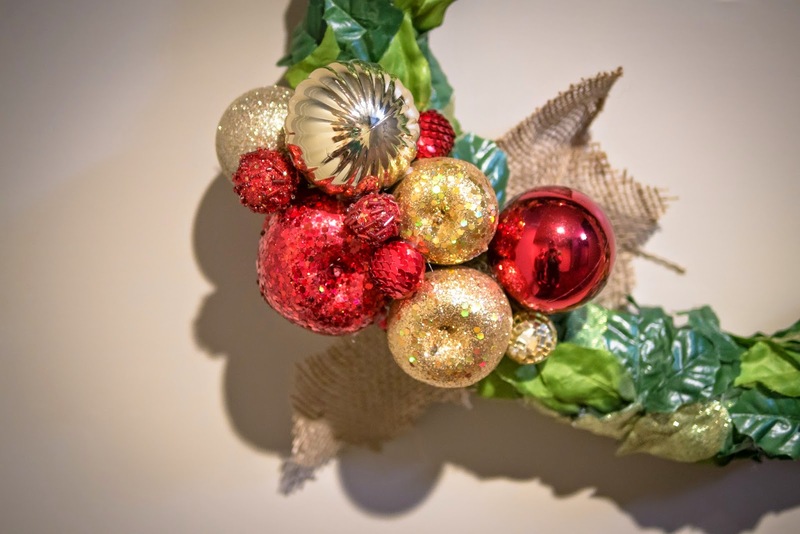 Olden to Golden: DIY Starbucks Inspired Christmas Leaf Wreath - No Basic Pine Here! DIY Starbucks Inspired Christmas Leaf Wreath - No Basic Pine Here! 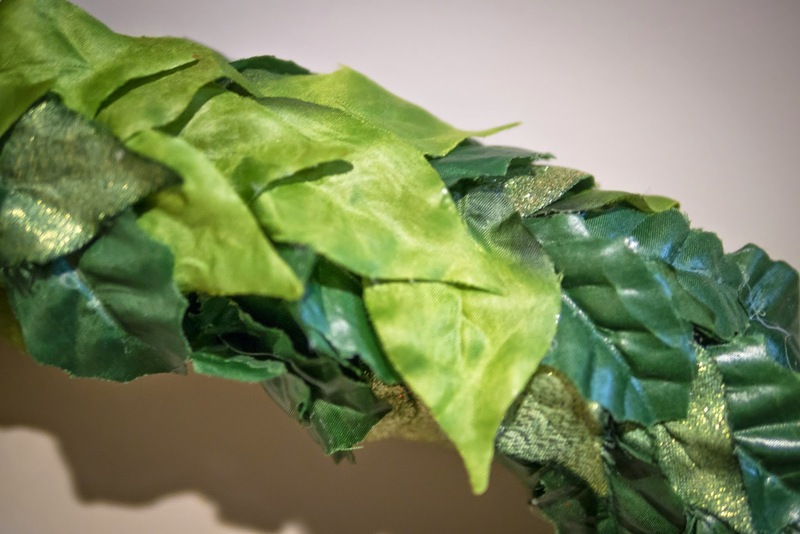 I'm hanging a leaf wreath on my door this year - learn how to make yours! I probably drink way too much Starbucks if I'm trying to make a Christmas wreath that looks like the one that hangs in the store! Anyway, going to Starbucks everyday is a ritual for me that I have come to enjoy. Besides my daily iced coffee, I think they have cute gifts and even cuter holiday decorations! (I know I'm weird to notice the holiday decorations!) 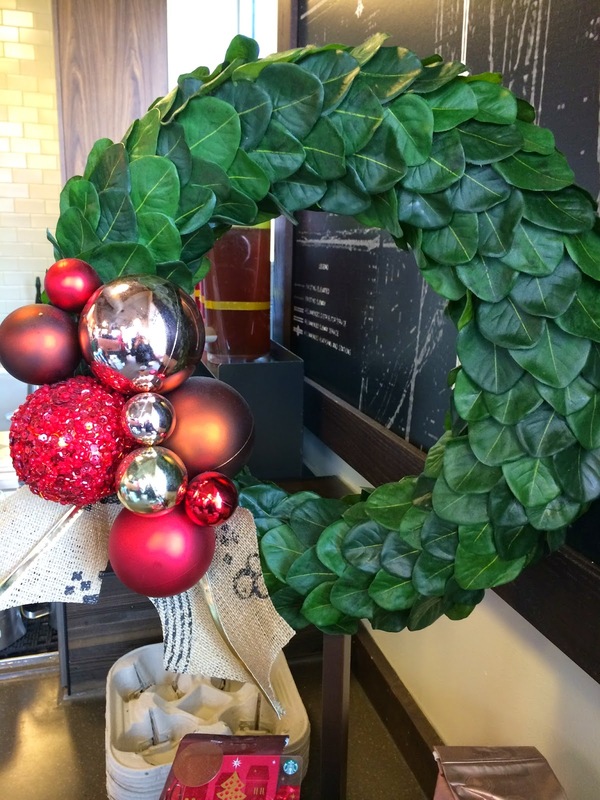 Read on to find out how to make your own Starbucks inspired leaf wreath - that no one else will have! Last year's wreath I thought was so cute and different as it was made from leaves instead of the usual PREDICTABLE pine. I went to Michael's, Chicago's only real craft store, and by the time I got there, EVERYTHING was picked over and on sale. For the thrifty DIYer, the on-sale part wasn't bad, but the picked over part was. UGH. The entire store looked like an explosion had gone off (lets face it, the Xmas decor has been starting to pop up since the end of September) so it's my fault for "waiting" so long, you know second week in December. haha The ONLY foam wreath they had left was BROKEN IN HALF! That meant I got it for 75% off and all I had to do was glue it back together at home :) I would have preferred a thicker wreath, but hey that's all they had, and I wasn't complaining about the cost part. Same went for the burlap. They only had the flimsy kind left and I had gotten a close-up of the one at Starbucks and theirs definitely was similar to wire ribbon, hence how perfectly straight the pieces of burlap on theirs was. For the leaves I purchased some holly berry garland for 60% off and just plucked the leaves one by one off the garland and glued them to the wreath, saving the rest of the garland for decorations around my apartment. For the ornaments I just took those right off my tree (gotta save $$ somewhere hehe), as we had extras. 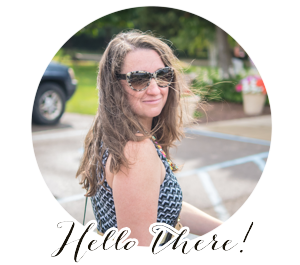 And hey, they were from Meijer, so I wasn't crafting with Grandma's 100 year old ornaments either! And there you have it! My leaf wreath! 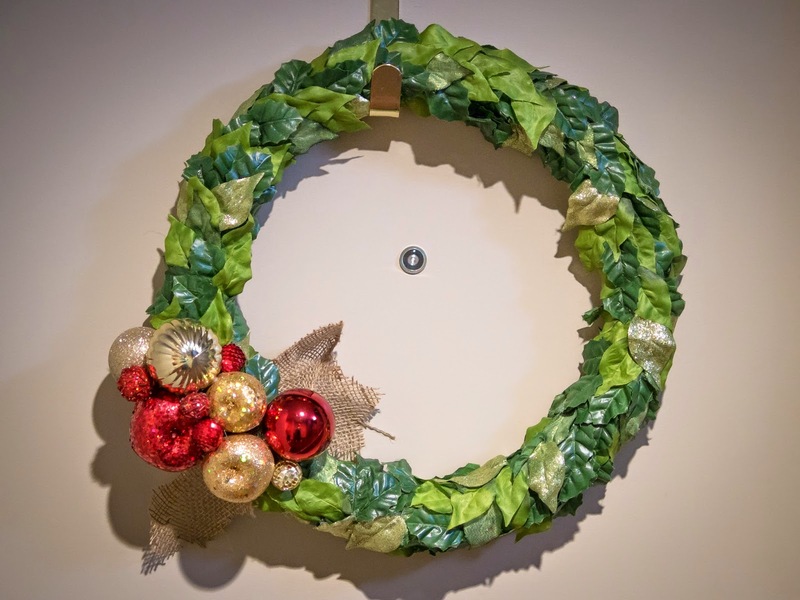 What kinds of craft materials did you make your wreath out of this year? Please comment with pictures if your own DIY wreath creations!